German authorities have searched the apartment of a German politician and leader of the West-East Association in Baden-Württemberg, Jörg Tauss, accusing him of organizing a group trip to Crimea and thus violating European sanctions against Moscow. Following the reunification of Crimea with Russia, the peninsula has been repeatedly visited by European politicians despite the sanctions. Such visits had not led to any contradictions with German or European law, which is why Tauss was very surprised when his private apartment was searched by police on July 21. "This is actually a new symptom, we didn't expect that. We organized a trip to Crimea, and we were accused of this — the organization of such a trip, and not the trip itself," Tauss said. "We were very surprised when, at half-past nine in the morning, four policemen in bulletproof vests with a search warrant suddenly appeared in front of my door," Tauss said. Tauss and his association have been accused of breaking the Foreign Trade Law. According to the decision of a court in Karlsruhe, which issued a search permit, the police was supposed to search for any "information connected with the organization of trips to Crimea." The politician and his team are suspected of having organized a tourist trip to the peninsula in 2016 and planning to offer commercial group tours to the region in the future. During the searches, the police confiscated Tauss' computers and correspondences. The politician himself denied the accusations. "It is easy to see that we are a public association and we have no goal of making a profit….Our main task, which is written in our charter, is international communication. We do a lot in the field of medical and humanitarian cooperation, but as an association, we also organize trips. And it was the desire of the members of our association to organize a trip to Crimea, and we did it in September 2016," the politician said. The West-East Association in Baden-Württemberg has been operating in Eastern Europe for 30 years. Initially it was created to help the victims of the Chernobyl disaster, and nowadays it lends support in the framework of medical and humanitarian cooperation with Russia and Belarus. Last year, members of the association decided to organize a trip to Crimea to see everything with their own eyes. 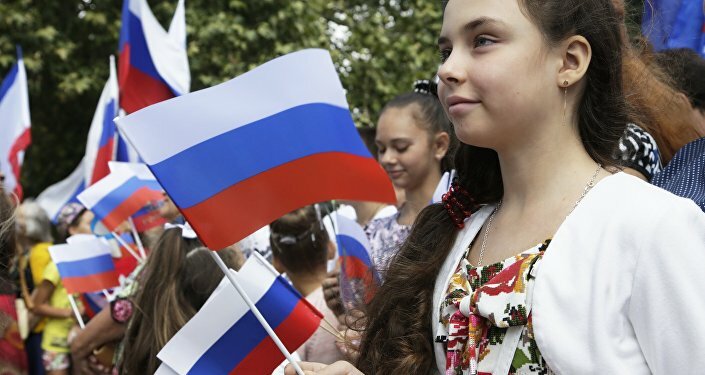 Crimea reunified with Russia after 96 percent of its voters supported such a move in a referendum in March 2014. The referendum was held after new authorities took power in Kiev after what many considered to be a coup. The reunification of the peninsula with Russia has not been recognized by a majority of Western countries, including the European Union, which subsequently imposed economic and political sanctions on Russia. Moscow has repeatedly said that the referendum was conducted in compliance with international law.